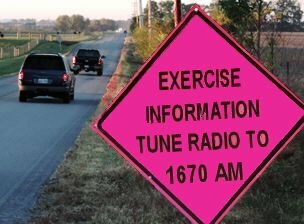 Approved for use on rights-of-way and at emergency scenes, FASTrack Signs are ideal for notifying motorists of Information Radio signals. The sign panel and stand may be stored connected in the carrying case when not in use, for quick setup. Pink background, black text = emergency information. Example: emergency management agency or medical facility for disaster, incident or emergency applications. Orange background, black text = directional/wayfinding information. Example: departments of transportation for traffic applications. Yellow background, black text = informational. Example: public health department at a vaccine Point of Distribution (POD). Panel: 48" by 48" pink, orange or yellow fluorescent ultra-reflective, flexible vinyl. Reflective surface returns more than 60% of light to source. Text: custom black lettering with optional changeable overlays. Viewing range: 2,000+ feet, day or night. Aircraft aluminum and coated steel, rust resistant. Wind springs accommodate up to 60 MPH wind gusts. Quick-release telescoping legs with rubber caps for uneven terrain and curbs. Compact size; weight: 20 pounds. 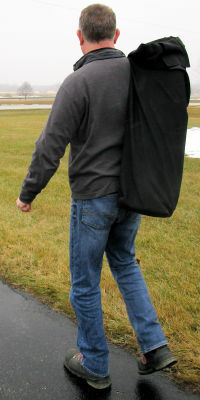 Carrying bag that contains sign and stand assembled. Sign may be stored attached to stand or detached. 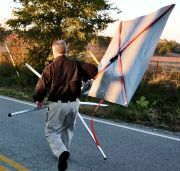 All signs are NCHRP-350 approved for use on rights-of-way. Signs with a Fluorescent pink background are FHWA/NFPA approved for use at emergency scenes. Bill Baker (phone 616.772.2300, extension 102) can provide a formal quote.